After a successful indoor season our challenge was to create visual identities for the three events that make up the outdoor season, each with their own personality. 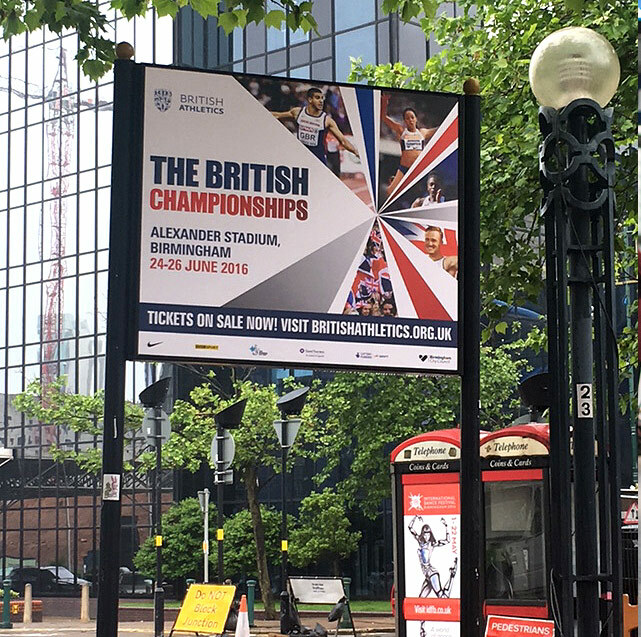 The British Championships is a three-day event that showcases the best that Britain offers. 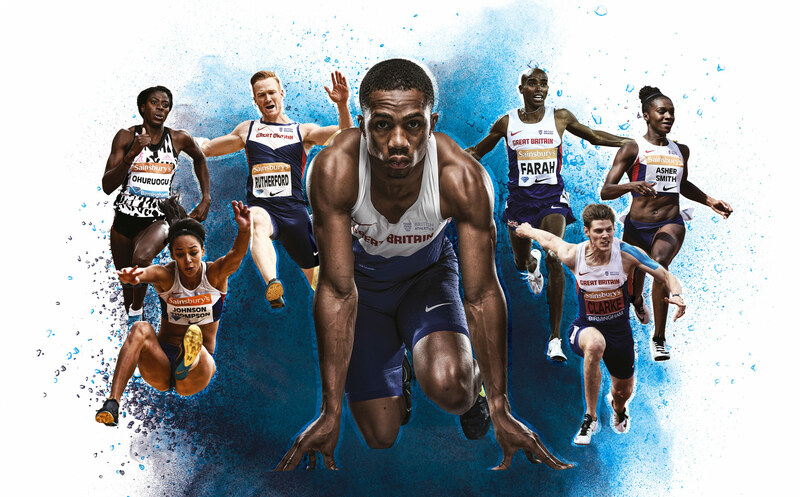 The Birmingham Diamond League is a prestigious event attracting the best athletes in the world for a one-day event. Finally, the Müller Anniversary Games, held at the Olympic Stadium in London is the UK"s showpiece event of the athletics calendar and would act as a send-off before the Rio Olympic Games. In order to give each event its own personality we began by developing mood boards for each, trying to understand what made each event special and who would be attending. 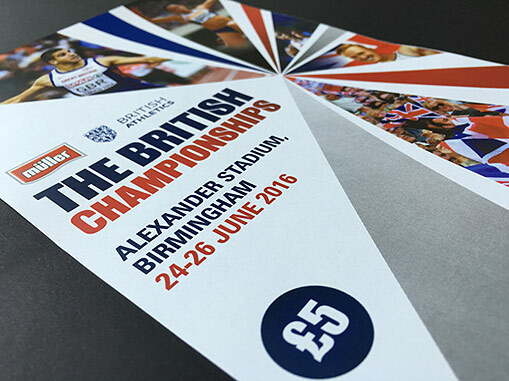 For the British Championships we developed abstract British flag graphic containers that also represented the lines of a running track. 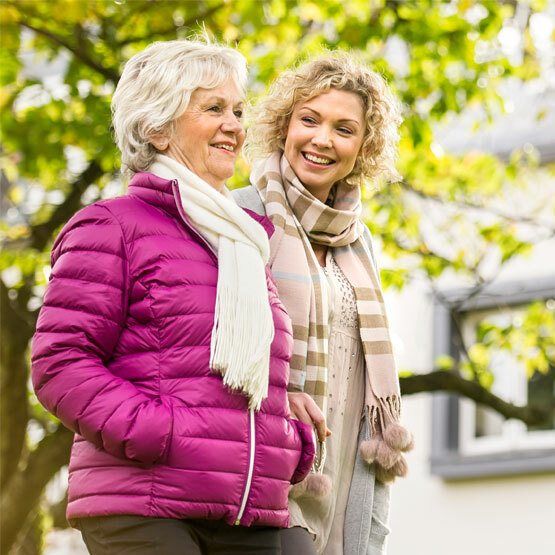 This allowed us to use tailored imagery for different channels - easily switching imagery to suit target markets but without changing the design style for recognisability. 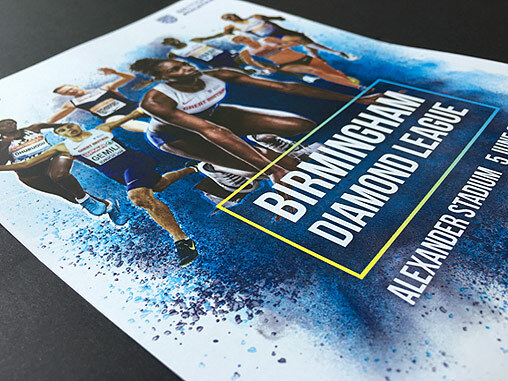 As part of the global series, the Birmingham Diamond league creative has to live harmoniously alongside series branding, so here we introduced a complementary colour palette in the form of impactful dust clouds to give a nod to the start gun/explosive nature of athletics. 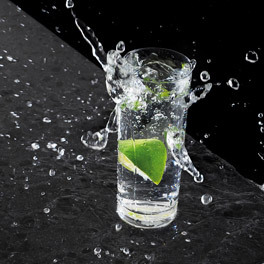 Strong, recognisable central athletes such as Chijindu Ujah and Dina Asher-Smith were shot in bespoke photography sessions and placed centrally as an anchor to the artwork. Other athletes were then cut out from action shots and placed around the anchoring athlete to represent the multi event nature of the day. In the lead up to the event, individual athlete rivalries were picked out and put into head to head style graphics to heighten the action element and give audiences a taste of what they could expect to see. Finally, the Müller Anniversary Games meant an opportunity to combine the main two attractions of this two-day event, namely the stadium and world class athletes. As a prestigious event we utilised a rich colour palette setting the stadium in gold against a black background, which meant we could bring back the sense of occasion that London 2012 brought and to highlight the importance of the venue as a reason to attend the event. 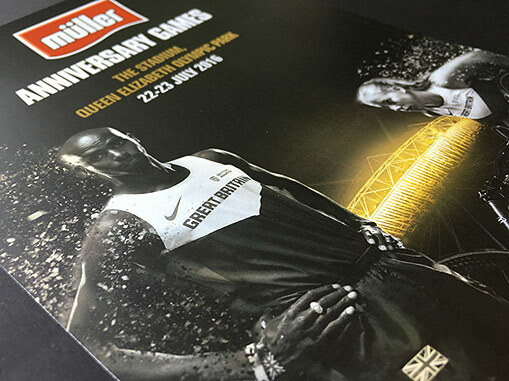 With a host of world class athletes at the event including Usain Bolt, Jessica Ennis-Hill and Mo Farah, black and white action shots were mixed with posed shots and used in conjunction with a flowing gold particle effect to add dynamism and a representation of movement to the artwork. Finally, headlines are set in white and gold to tie up the creative work with the messaging. Headlines revolved around being able to ‘preview’ what could happen at the upcoming Olympics (‘Rio in a weekend’) and also again evoking the memories of London 2012 (‘Super Saturday’). 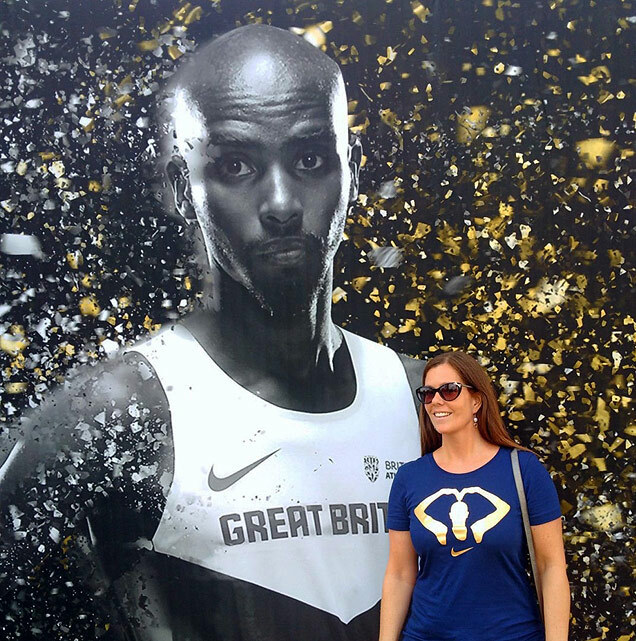 “The Diamond League outdoor season is always a fantastic part of the athletics calendar to be involved in and 2016’s meet ups were no exception. The season was made extra special by the fact that it was building up to the Rio Games. 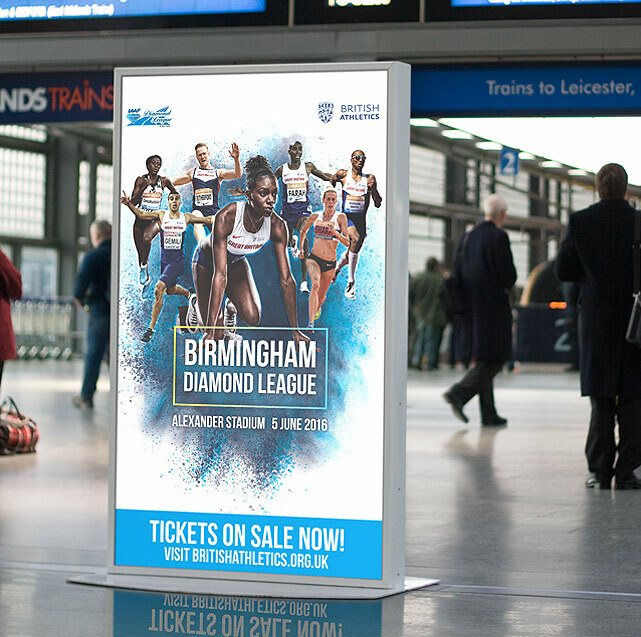 Our focus for Birmingham Diamond League was to represent explosive action and the holding graphic of the blue powder burst was an effective method of doing that whilst tying it back to the Glasgow Indoor Grand Prix. 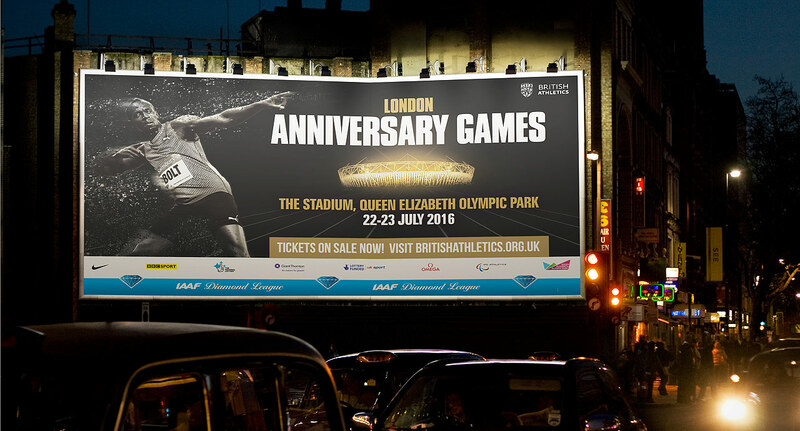 Given that the Anniversary Games is the only athletics event held at the Olympic Stadium, the opportunity to sell the exclusivity feeling was available. 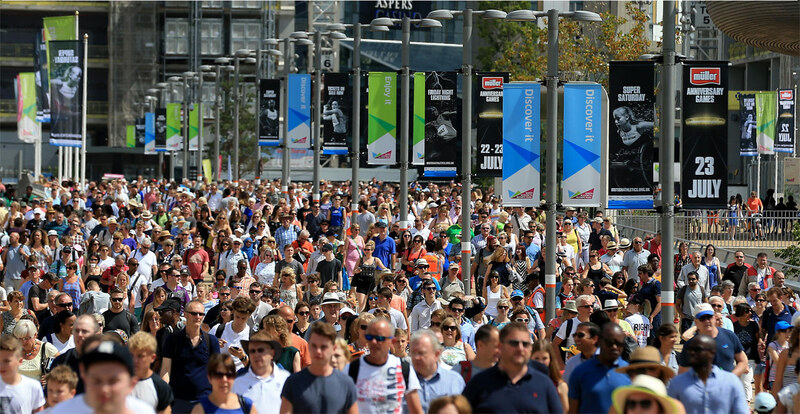 Our goal was to make sure the stadium stood out on the creative so we could attract audiences who were seeking that Olympics feeling again, or new audiences who had never been to the Olympic stadium before, to see fantastic track and field events. 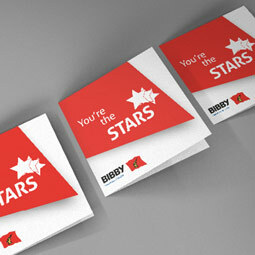 Creative work was applied across a wide variety of channels in the lead up to all event weekends. On the outdoor media side, Birmingham and London were given city dressings and artwork could be seen at major train and tube stations, on the sides of buses and on billboards, digital displays, flags and poster sites. 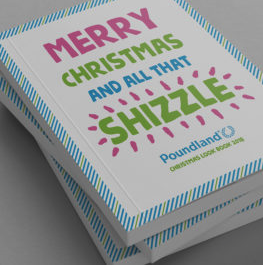 This was coupled with print and digital media advertising, including newspaper adverts, display adverts, website takeovers and social advertising. During the Muller Anniversary Games, we incorporated Snapchat geo filters with Usain Bolt to add excitement for the audiences. Selling over 100,000 tickets across the whole 2015-16 season, the creative work proved to be on point as feedback and research found that the main reason for attending was to see the best athletes competing against each other. 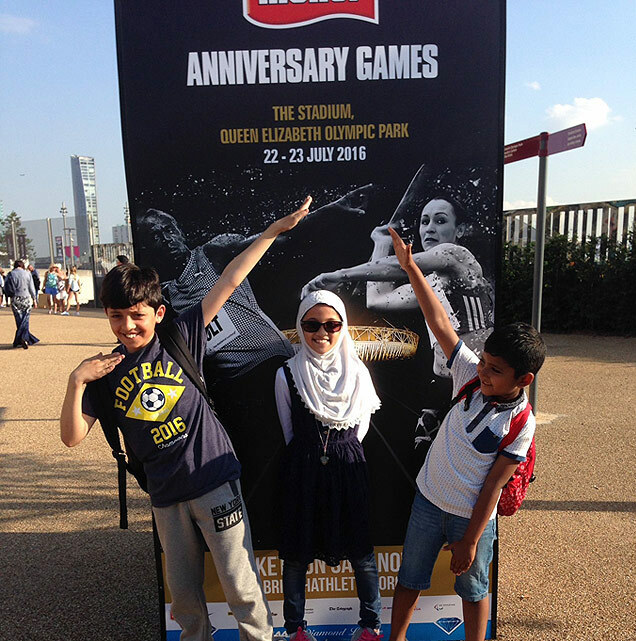 Audience breakdowns showed a 60-40 male-female split, and ticket purchasers also attended with partners and children, thus meaning the objective of making athletics as a family friendly sport and encouraging interest at a young age was met.